* You must find a Quran teacher who has studied Tajweed to listen to your recitation and correct you. 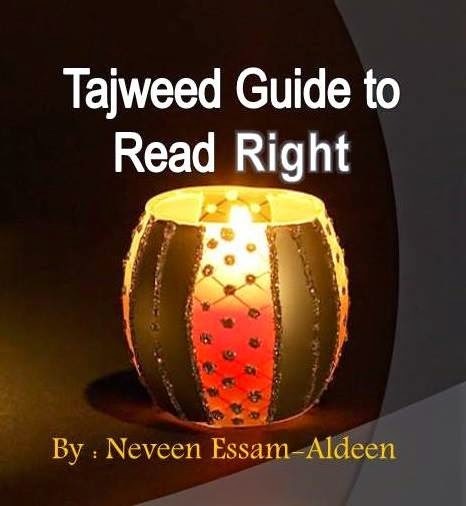 Tajweed cannot merely be learnt from books, because the movements of your mouth as well as the sounds are important and only a teacher can correct you and make sure you are applying the rules correctly. Quran recitation is a science which was passed down generation by generation through teachers not just books, with a direct line to the Prophet pbuh. * Follow the book containing the rules of Tajweed and learn each rule little by little, applying it as you go along with the help of your teacher. Following the charts will make it even better to understand and remember the rules . * Listen to Quran tapes of reciters who recite very clearly at a medium or slow speed and notice them applying the different rules of Tajweed. Repeat after them while trying to apply the rules you’ve learnt. Try to copy their tone and melody as well and see how it changes as the meaning of what they’re reciting changes. * Apply the rules you learn to the Surahs you have already memorized and don’t save any effort about reciting correctly. You might have to revise the surahs by looking back at them. May Allah help us all to give His Book its right when we recite it and make reciting it more beloved to our tongues than anything else.